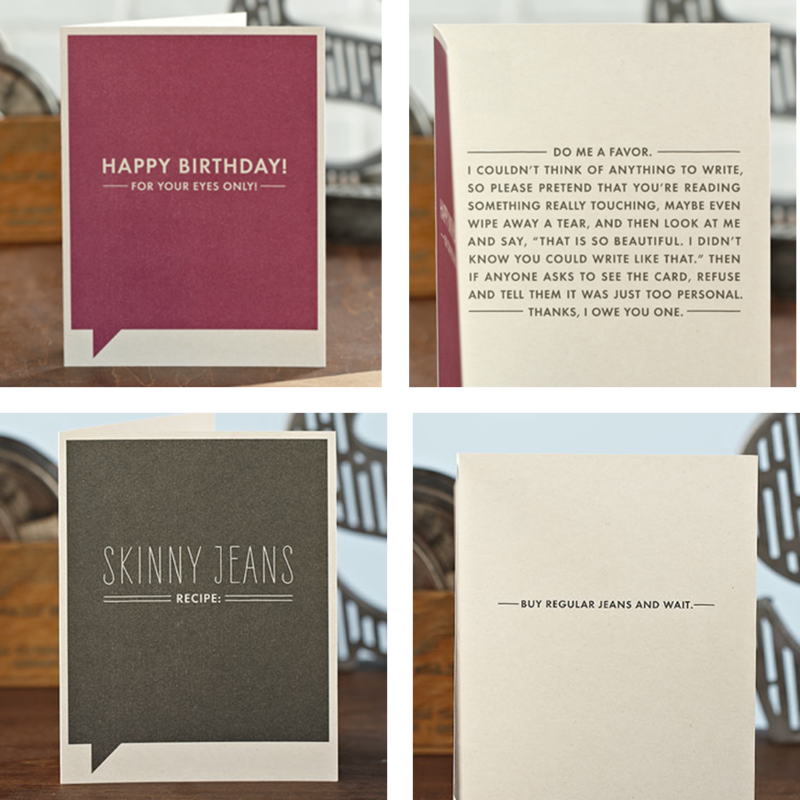 I am a sucker for cards, greeting cards, birthday cards, holiday cards, any card really; ergo finding a new card line is almost as great as finding the perfect sweater… Drumroll for Frank & Funny, these cards are hilarious! A coworker and I found the gems at Kinkos, who would have thought! The line was founded by David Crow, a Seattle stand-up comic and his is the only line written completely and exclusively by professional stand-up comedians. Take a peek! I will take one of each please!! 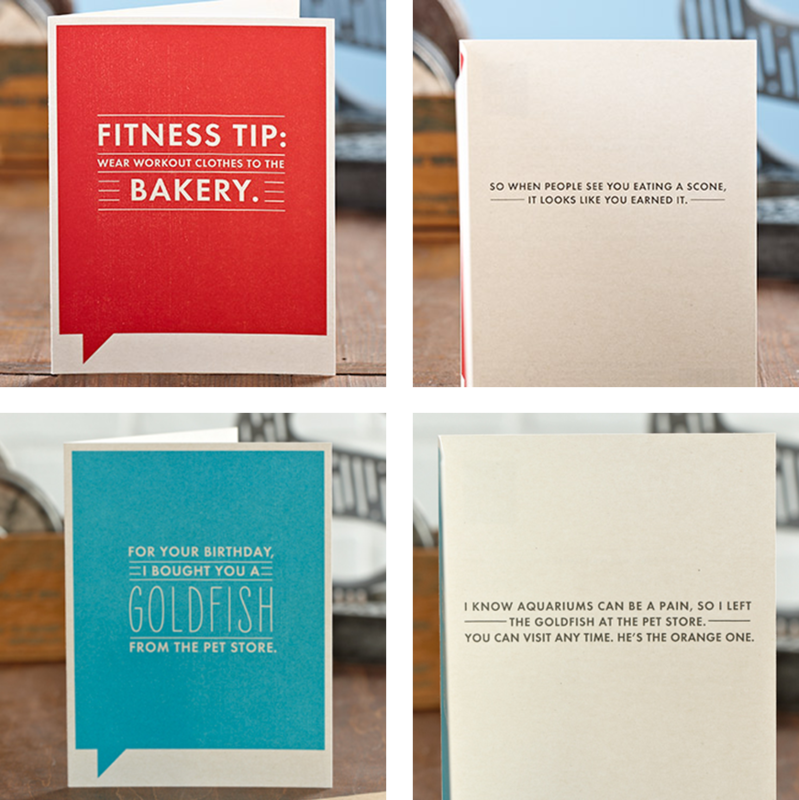 Shop the complete line of cards here. Frank & Funny cards are made right here in the good ol’ USA. Laughs you can feel good about sharing? That’s worth passing on! This entry was posted in art, shopping and tagged cards, Frank & Funny, greeting cards. Bookmark the permalink.